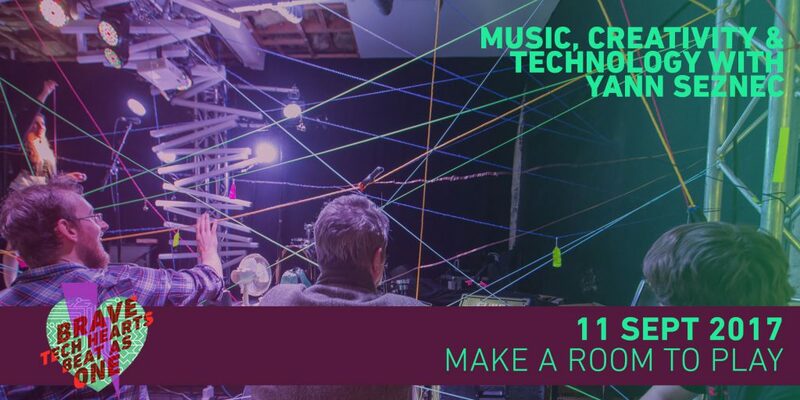 In the Festival’s aim to promote skills development and creative exchange in the digital and technological, we are offering a free workshop program in this MAKING WEEKEND. 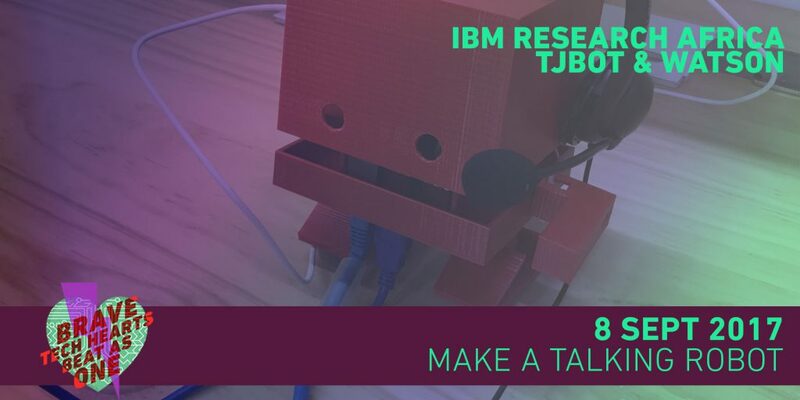 Learn to build a TJBot AI Robot with IBM Research. TJBot is a Raspberry Pi driven AI that uses IBM’s Watson to engage conversation and prompts. In this workshop you will learn the dynamics of Watson and Raspberry Pi. Making TJBot talk and respond to voice queries. About Toby Kurien: Kurien based with IBM Research Africa is an electronics engineer who specialises in software engineering. He co-founded a successful software development company, created multiple startups, and spent 5 years freelancing as an Android developer as a way to help build solutions for other startups as well as NGO’s. Kurien co-founded a maker space and has created and contributed to several open source projects. Learn to interact with the physical world using computing and electronics on a Raspberry Pi Zero Wireless. 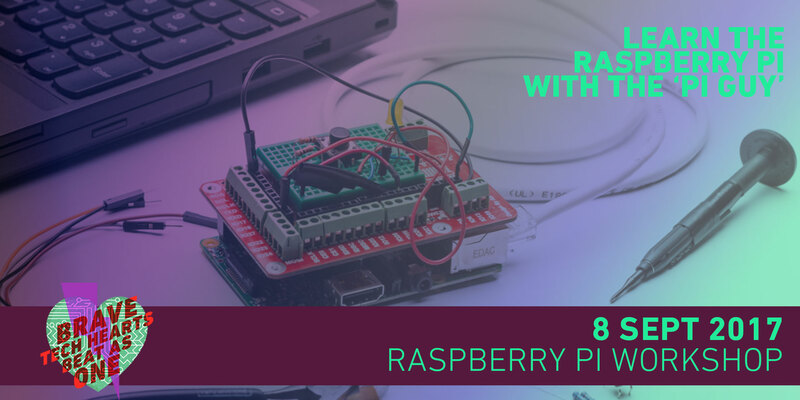 In this workshop you will build your own Raspberry Pi electronics project using Python programming and a GPIO electronics kit. Learn how to actuate, sense, and interact with the real world from your Raspberry Pi using its General Purpose Input Output pins. Push buttons, LED lights, make a buzzer beep based on how bright the light is. What you’ll learn will empower you with endless potential to interact with the real world. Please bring a Wifi enabled laptop/Mac and hardware kits will be bought on the day by each candidate for R700 will have to buy cash on the day. About Philip Booysen: Booysen has 22 years experience in the Open Source Software and Enterprise Linux IT ecosystem. He started hacking the Raspberry Pi which is a small credit card size computer, in May 2012, being one of the first official five people in Gauteng to own a Pi. He subsequently founded two companies based on the Raspberry Pi and is very well known in the Open Source Community as one of only a few Red Hat Certified Architects in SA. 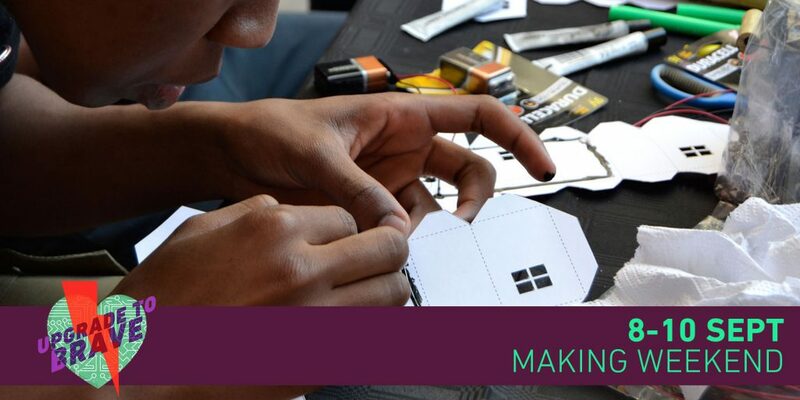 Booysen also co-founded a maker space to foster people’s curiosity and promote collaborative intelligence activities. For more visit Pi Guy. 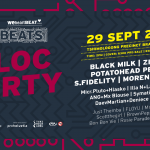 10:oo – 17:00 Friday 8th September & 10:00 – 16:00 Saturday 9th September @ Point of Order, Corner of Stiemans & Jan Smuts Ave in Braamfontein. 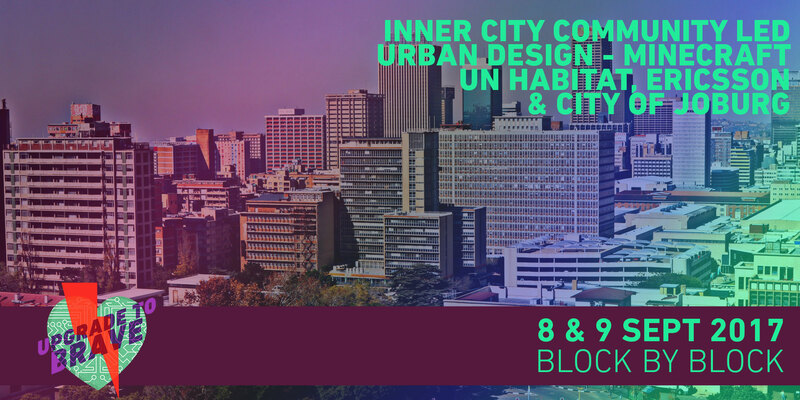 In a special collaboration with the UN Habitat’s Block by Block project with Mincecraft and Ericsson, the Johannesburg Development Agency and Wits Architecture are leading a project on community led urban design with technology in Braamfontein. 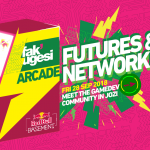 At Fak’ugesi Festival, we are focusing on a community led redesign of “Eland Park and its immediate surrounds” on the corner of Jan Smuts and Ameshoff Street in Braamfontein. Ericsson is one the primary sponsors for the Fak’ugesi Festival in 2017. Ericsson Research’s Strategic Design team is working on a mixed reality application to present a live view of the community’s design proposals in context, that is, out in the park or on the street. Selected design outcomes will be interpreted by Wits Architecture students for a showcase to be presented during the Fak’ugesi Festival. 10am – 3pm, Saturday 9th September @ Tshimologong, The Space. 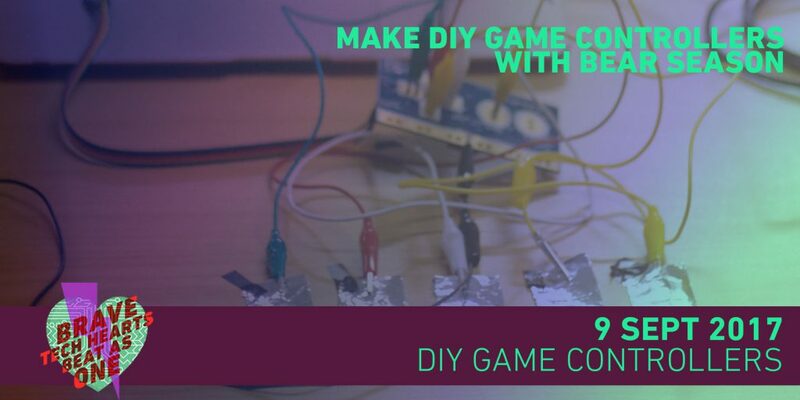 For High School & University learners who have made their own games in any platform. Requirements: Bring your laptops and games. Buy a Malakey board for R1000.00 (bring cash). About Bear Season: Bear Season is a special projects & creative tech studio based at the Tshimologong Precinct in Johannesburg. 2pm – 4pm, Saturday 9th September @ Tshimologong, The Glass Box. 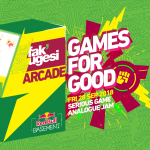 Join Fak’ugesi Beats Lab participants and Benoit Hické, Director of the F.A.M.E (Film, Art, Music and Electronica) Festival for a workshop on collaborative practices between music and film. 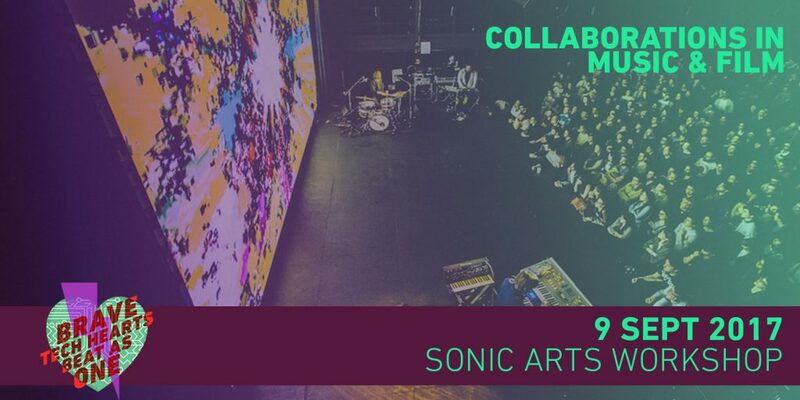 Hicke will present a history of Sonic Arts across the ages. 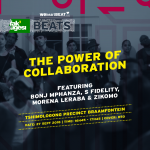 This will then lead into a detailed discussion led workshop on collaborations in music and film. This workshop is for musicians, film-makers and music / film collaborators. Participants working on or interested in sound and film development and collaboration, both local and international. About Benoit Hické: Hické is a Paris-based film curator. He co-created and co-runs the F.A.M.E Film Festival at la Gaîté lyrique since 2013 (within the AMORE organization). Hické curated many cycles & events related to music, art and films : Nemo festival (2007), the Clermont-Ferrand international short film festival (experimental & music vidéo competitions) between 2000 and 2005. Hické collaborated on audiovisual projects: video installations and live performances. Hické now in charge of the audiovisual programs for the French National Muséum of Natural History. He’s working on a new film festival dedicated to environment issues. He also worked as a freelance cultural journalist. 10am – 1pm, Sunday 10th September @ Tshimologong, The Glass Box. The beetle robot (Beetle bot), is a very simple and efficient robot that uses no electronics component to avoid obstacle in its path. There is no silicon chip, that is, no integrated circuit, no transistor, no resistor, capacitor, etc. In other words easy to build, replicate and most importantly lots of fun. Participants will build their own beetle bot that they can take home. No skills are needed apart from some common sense. Although the participant will build a robot, they will learn the basics of electronics and soldering. 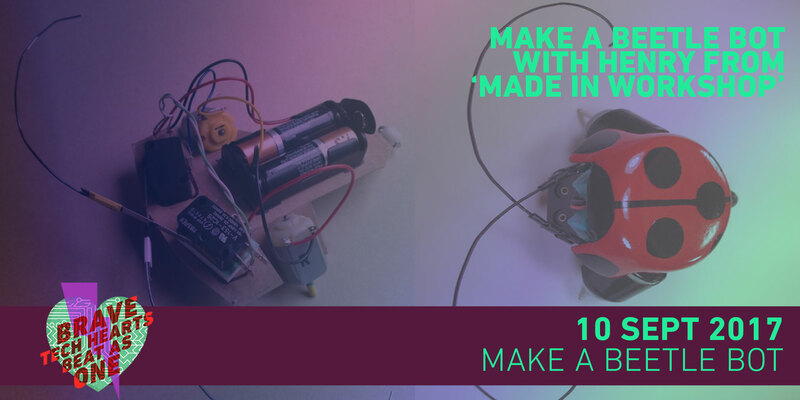 About Made in Workshop: Made In Workshop is a membership based shared fabrication studio and maker space. Members have access to industrial machines and tools to use on their own projects. Henry Levine Started Made In Workshop 2 years ago and runs many of the classroom projects along with his duties of CEO, CIO, CFO, tea lady and cleaner. 1pm – 5pm, Sunday 10th September @ Tshimologong, The Space. The workshop is open to beginners (creative coding is a wonderful way to first learn how to code!). More advanced tools and techniques of p5.js will be introduced to those with previous coding experience. Workshop Requirements: Some coding experience (in any language) is helpful, but not required. The only requirement is the willingness to try something new and a little creativity. Computers are available, but feel free to bring your own laptops (wifi access required). 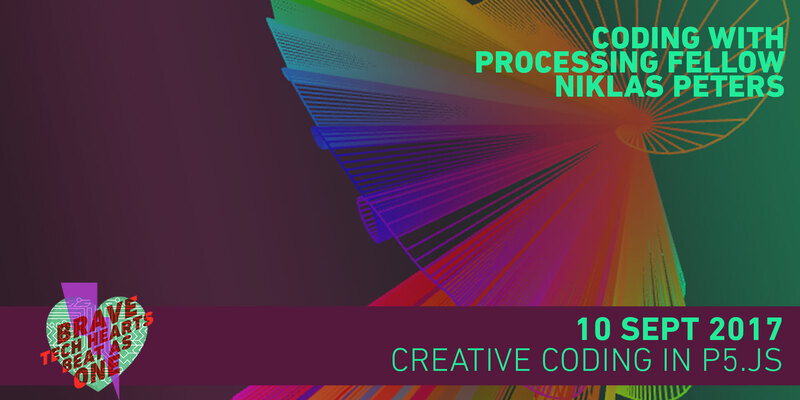 About Niklas Peters: Peters is a digital artist, web designer and musician. As a 2017 Processing Foundation Fellow, he developed a curriculum to teach creative coding and computer programming to learners with low computer literacy. Niklas is currently teaching this curriculum to high school students in Braamfontein and Soweto. 2pm – 4pm, Sunday 10th September @ Tshimologong, The Glass Box. 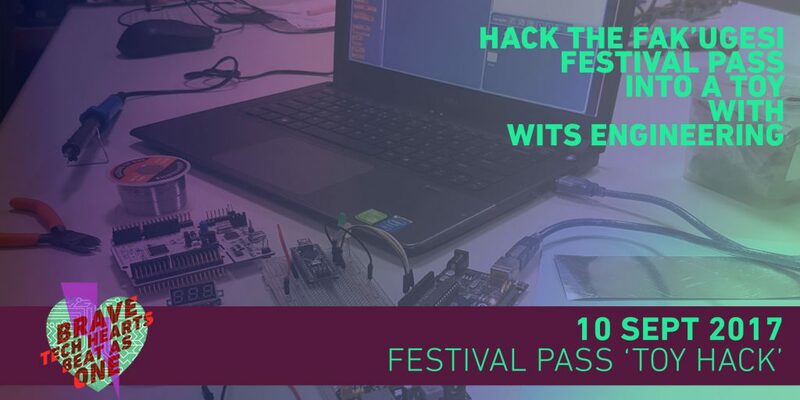 Turn Your Festival Pass Badge Into a Digital Toy with Wits’ School of Electrical and Information Engineering. This workshop will teach the basics of electronics circuits by utilising the Fak’ugezi electronic badges to make an exciting new creation. Participants will get practical exposure to electronics and learn basic circuit building techniques and the use of various components. The workshop is targeted to primary or early high school students, but it is applicable to anybody interested in electronics. About Deshin Subramoney: Subramoney is an Electrical Engineer with a focus on Software Engineering. He is currently pursuing his Masters in Electrical Engineering at the University of Witwatersrand. He has worked as an Embedded Developer and Operations Specialist and is passionate about teaching courses on Software Development and Microprocessors, Additionally he has developed a learning platform to teach children programming fundamentals using a robot and kid-friendly IDE. This workshop will explore playful and fun approaches to building electronic musical instruments and controllers. We’ll use everyday objects and interactions and to make and manipulate sounds. Maybe a knife and fork instrument? Or a football synthesizer?! Or a tabletop drum machine! The end result will be chaotic and noisy (and therefore: fun). 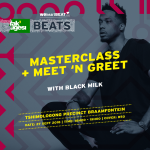 Join the ColabNowNow and Fak’ugesi Beats Lab participants for this workshop, spaces for non lab members is limited and must be motivated for. Please note: This workshop requires booking and a motivation in order for you to attend. Bookings without motivation will not be considered. Please make sure you use the same name on the ticket and the motivation. About Yann Seznec: Seznec is a French/American artist and musician living in Edinburgh whose work focuses on sound, music, physical interaction, games, and building new instruments. Much of this work involves building custom instruments such as musical pigsties, touch sensitive harps, electromechanical mushroom spore instruments, and more. Most recently his “Kronoscillator” instrument was used extensively by the Kronos Quartet, and he completed a Playable City residency in Lagos, Nigeria, with Watershed and the British Council. In December 2015 he received the British Composer Award for Sonic Art for his 2014 Edinburgh Art Festival work “Currents”. Audience: All ages from 12 years to 70 years. Multi disciplinary fields and all levels of expertise.